Well, the PAP (People's Action Party) have again won the general election in Singapore led by the very capable and seemingly affable PM Mr Lee Hsein Loong and the following extract of a major article in the "Straits Times" shows that one of the first jobs in hand is to appoint a new (suitably qualified - with technical knowledge) Transport Minister - wouldn't it be something if governments here placed such emphasis on public transport. I think one of the problems here and in the the UK is that ministers often know very little about their portfolio at the time of appointment, relying therefore on public service advisers!! I should say that it is believed that the previous Transport Minister "fell on his sword" over ongoing metro train breakdowns (despite an intensive recent maintenance program). You cannot imagine any of our lot resigning in similar circumstances. "SINGAPORE - A day after the General Election, Prime Minister Lee Hsien Loong said his immediate priority was to form the Cabinet and to get the new Government running. "We need to form a new Cabinet because we have new faces now, we have one or two retirees, and that's what I'll be doing over the next two weeks," he told reporters at the end of his victory parade in Ang Mo Kio GRC on Saturday (Sept 12), where he thanked residents and activists. Asked about the qualities he is looking for in the next Transport Minister, an empty spot to be filled since Transport Minister Lui Tuck Yew resigned before the election, Mr Lee said the person has to have technical knowledge about systems, trains and buses, and how to keep them running efficiently. At the same time, said Mr Lee, he or she has to communicate with people and get them to understand and accept why fares have to go up from time to time, and what the Government is doing about service breakdowns. 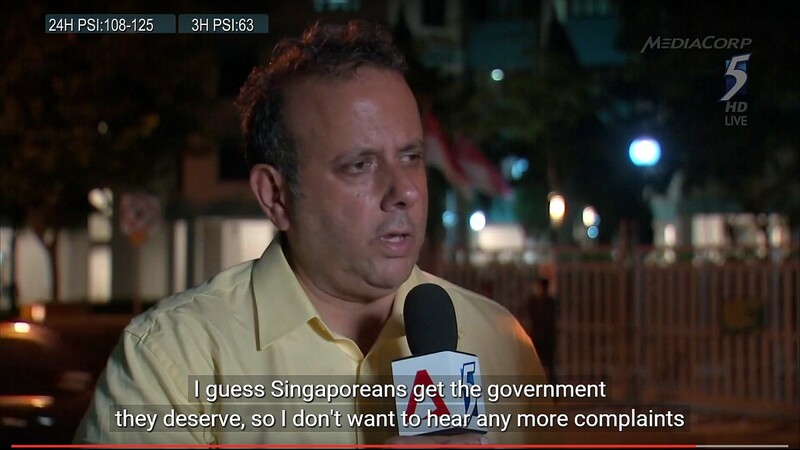 He added that Singapore is reaping the fruits of work done by previous transport ministers today. "Mr Lui Tuck Yew has done a good job over the last four years," he said, and some of the results of his efforts are showing now, but others will not become apparent for years to come. "It's a very demanding job but I will find somebody," he said, adding that he had not decided on the person yet"
This is one of the problems of having politicians elected on "popularity" rather than ability or expertise. Unfortunately you can't mandate having a mix of qualified candidates to suit the various ministries in the cabinet. People who are suitably qualified are not likely to give up lucrative private sector jobs to be a politician. So what happens if Mr PM can't find a "suitably qualified" person? Fortunately SING has a progressive (single) land use and transport planning bureaucracy. Making it run reliably should be the least of their worries. I really don't what happens if the PM cannot find a "suitably qualified" person within his elected PAP members. They do seem to choose politicians by ability rather than just popularity - they pay them very well, but on the basis that they devote all their energies and focus on parliament etc. and they cannot have private businesses and interests to distract them. So you would think there would be someone within the 80+ PAP elected members who could do the job. Singapore is a city state, covering a relatively small area, so you would think transport would be relatively easy to manage and operate. Buses don't seem to be problem (except maybe for keeping up with ever increasing demand and the new tender packages) - rail is the real problem, aging infrastructrue, although young by a lot of other cities standards, and regular breakdowns by the equipment more than the EMU's. They have now engaged (another?) expert at great expense to undertake a complete review (an audit) of the system. No, because the entire government gets tossed out. Think Melbourne. The margin of win gives them a plenty of political capital to work with anyway. Trains breakdowns are now accepted as part and parcel of life in light of the election results. The one to look out is the new bus tendering system. That has a potential to turn it into a disaster and cost escalation. $3.76 ride for a basic bus ride might not be that far away.